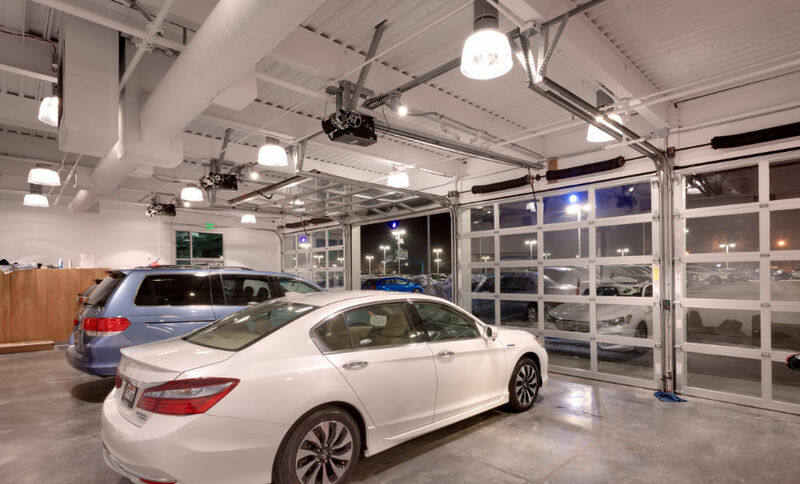 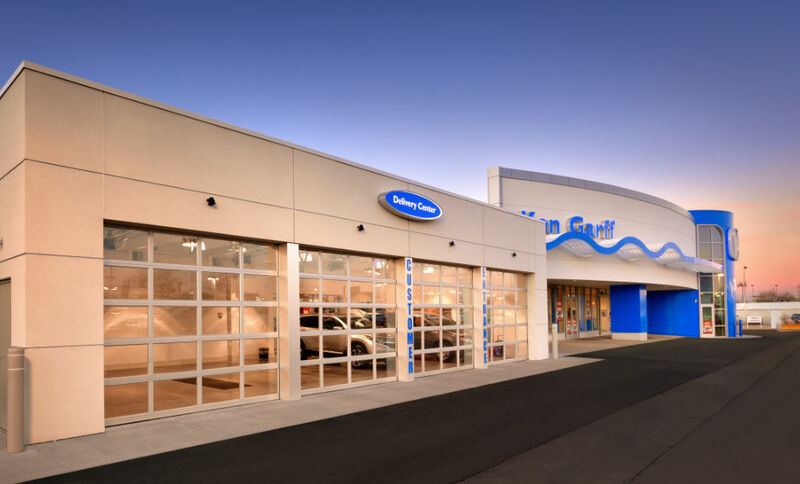 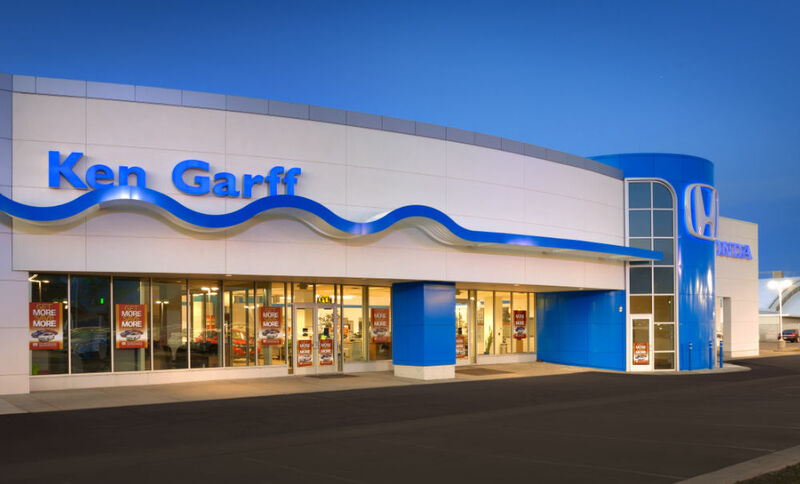 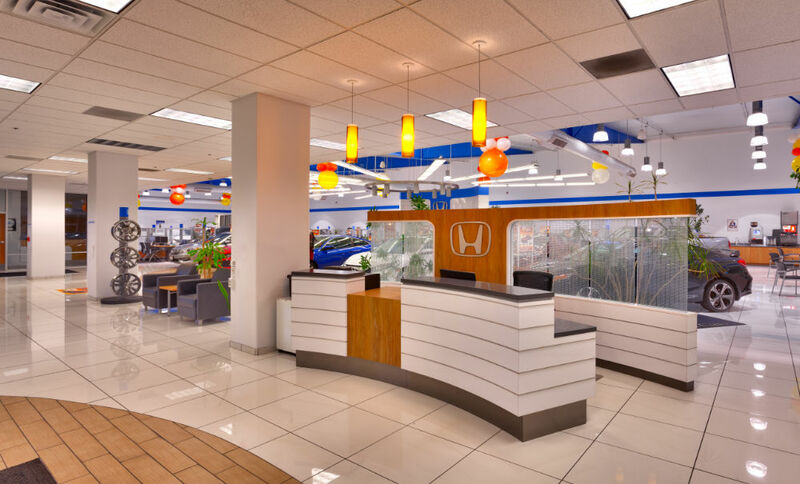 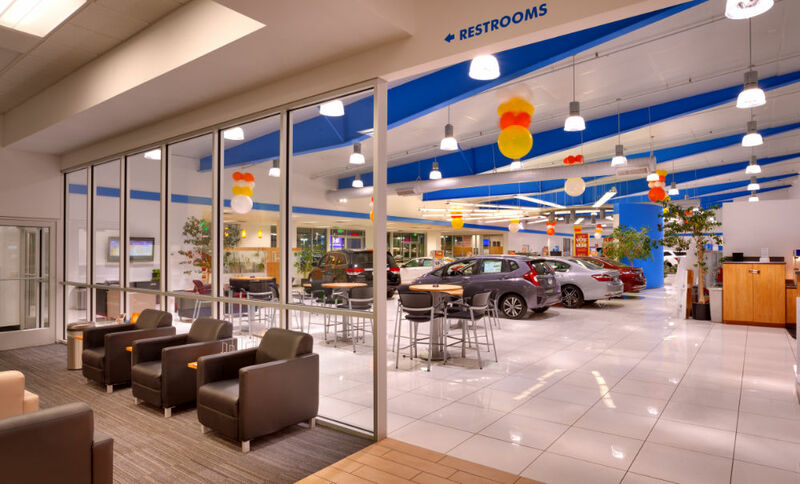 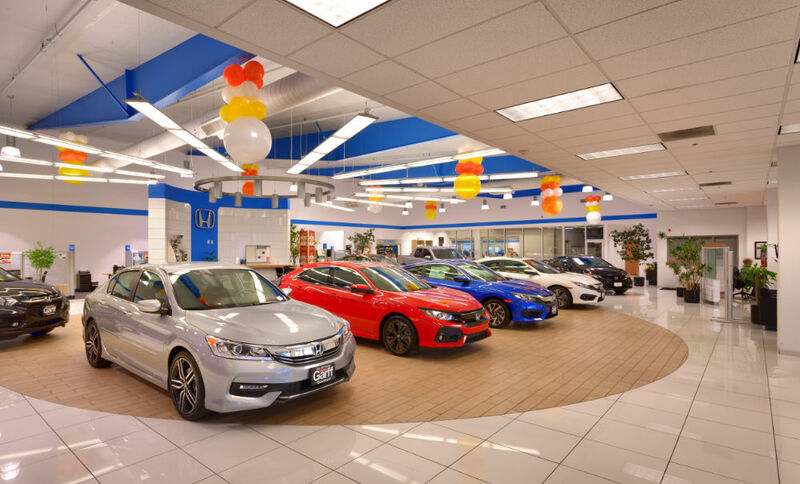 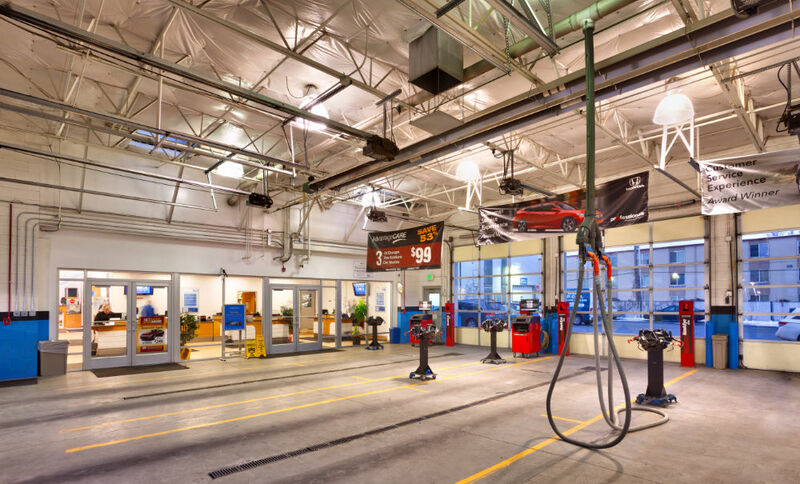 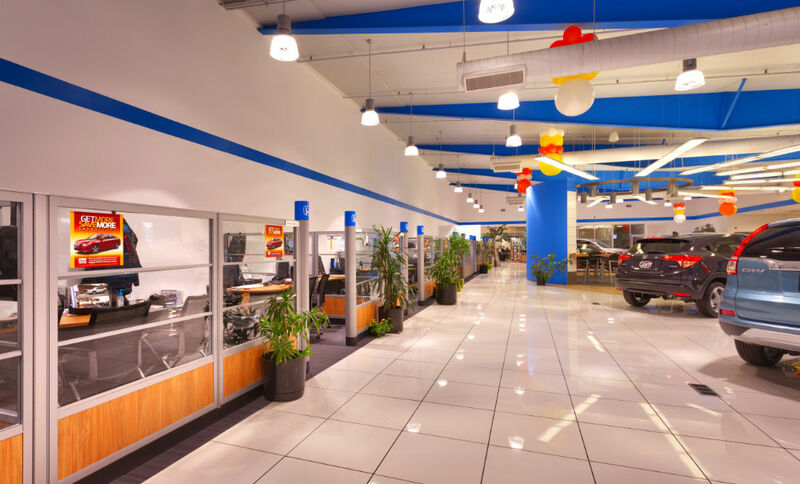 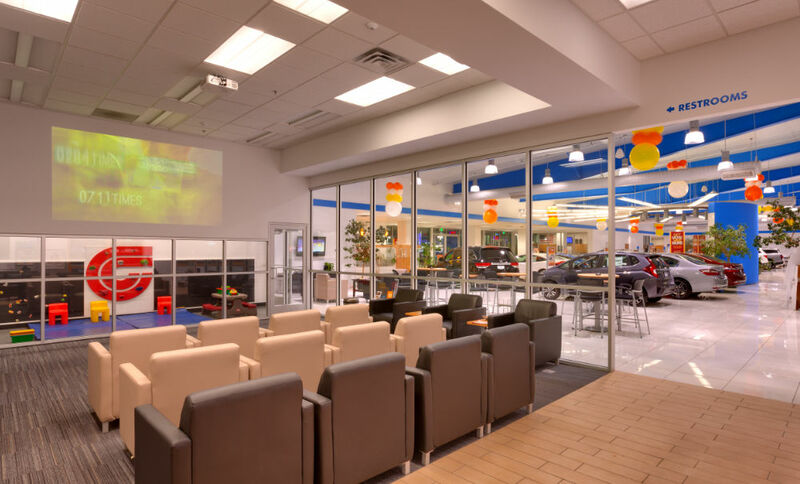 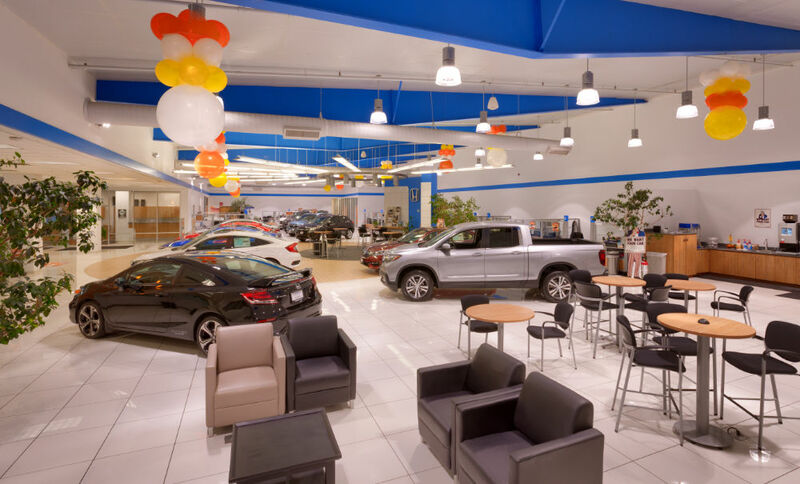 Curtis Miner Architecture (CMA) collaborated with the Ken Garff Automotive Group to refresh the existing Honda Dealership in Salt Lake City, UT. 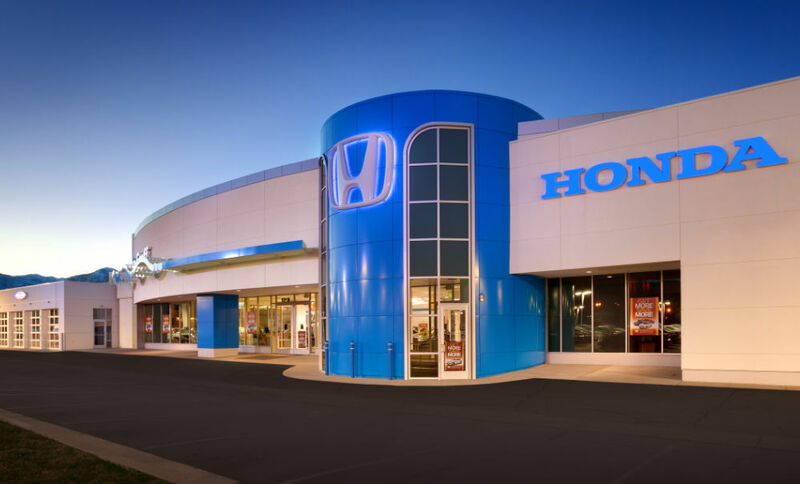 This collaboration yielded a design that showcases the sweeping north façade punctuated by new Honda branding features including a new car delivery room. 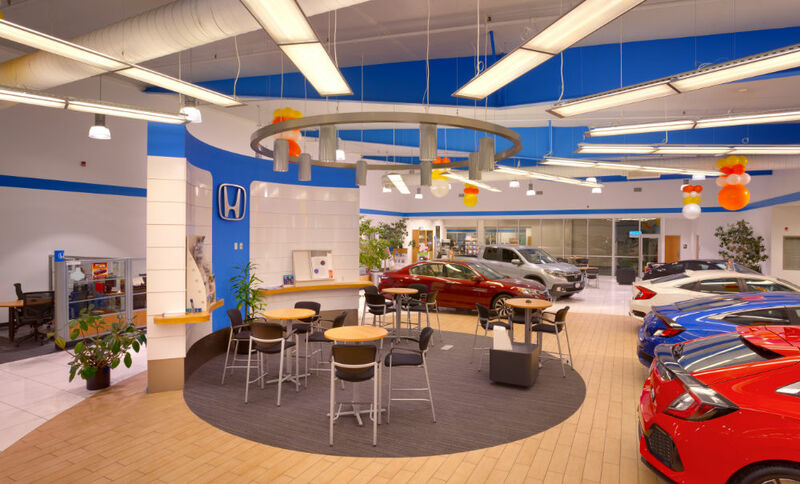 Additionally, the design created a strong connection between the revitalized showroom and service write up areas utilizing the new customer amenity and new customer theatre room as the common link along the primary organizing axis. 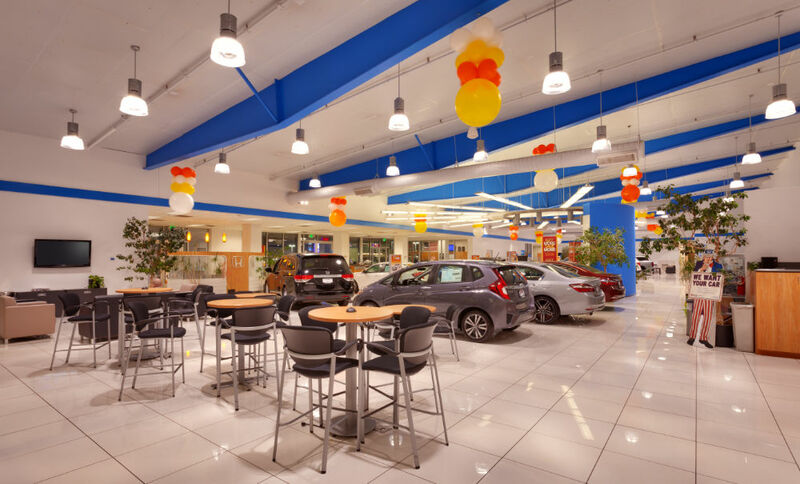 The new material finishes and lighting enlivened the interior environment, welcoming new and returning customers. 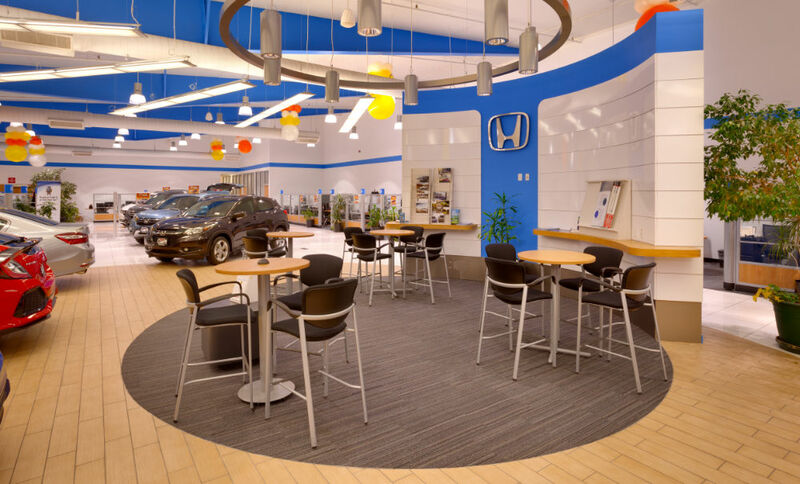 Customer amenities have been updated to soften the waiting experience by providing refreshment, lounging, and entertaining areas that include a kid’s play area, theatre, lounge, and internet bistro seating adjacent to new car displays.